Let me start by saying that my prayers are with the family of Mark McPhail. He is the police officer shot in August 1989 for nothing more than doing his job. Sometimes, we fail to acknowledge McPhail's family as we discuss this case. The State of Georgia sentenced Troy Davis to the death penalty for McPhail's murder over 15 years ago. Should Troy Davis be put to death by the State of Georgia? My answer is 'No'. There is compelling evidence that Davis did not commit the crime. I don't think that we should have any doubt about killing a man. This case is full of doubt. Unfortunately, it appears that Troy Davis is reaching the end of the line. He lost his appeal to the federal appeals court in April. The Supreme Court jumped in about 90 minutes before Davis was set to be executed back in September 2008. However, they turned down a hearing on his appeal in October. A 30-day stay of execution expires this weekend, prompting Amnesty International and the AfroSpear to declare today a global day of action - a time for those who hate injustice to raise our voices and save this man's life. Troy Davis expressed his gratitude to us in interview conducted on May 17th. 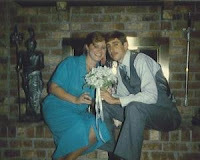 In August 1989, Davis and a running buddy named Sylvester (Red) Coles spent a riotous, hell-raising night in Savannah. Eyewitnesses say Coles shot at two of his neighbors at a house party with a chrome .38 pistol, hitting and wounding one. Davis wasn't at that party. But he and Coles met later and wound up in the parking lot of a Burger King next to Savannah's Greyhound bus station, where one of them harassed and pistol-whipped a homeless man. When the man yelled for help, a cop named Mark McPhail - who was moonlighting as a security guard at the bus station - came running, and was shot to death at point-blank range. The murder weapon was never recovered, but ballistics showed it was a .38-caliber handgun. Coles, the owner of a .38, wasn't charged. Instead, nine eyewitnesses testified at trial that Davis was the shooter. But seven of the nine have since recanted their testimony, with several signing sworn statements that they were coerced by cops. One recanting witness, Dorothy Ferrell, said in a sworn statement that "I was scared that if I didn't do what the police wanted me to do, then they would try to lock me up again. I was on parole at the time." And here's witness Darrell Collins: "I was only 16 ... After a couple of hours of the detectives yelling at me and threatening me, I finally broke down ... They would tell me things that they said had happened and I would repeat whatever they said." And so it went with seven of the nine witnesses. Of the remaining two, one initially told police under oath that he didn't know who shot McPhail - then reversed himself on the witness stand two years later, certain that Davis was the culprit. The only other eyewitness is Coles, who went to the police the day after the shooting, accompanied by a lawyer and claimed Davis was the killer. Coles never mentioned that he'd been carrying a .38-caliber pistol that night. "[The police] bought Mr. Coles' story hook, line and sinker," Davis' attorneys argued in court. "And they went out into this community, and they rounded up witnesses everywhere they could find them, and they paraded them in here." Three new witnesses now claim they heard Coles later take credit for the murder. But none of the new witnesses or sworn recantations have ever been heard in any court - and probably never will be. The only remaining hope is a pardon from Georgia Gov. Sonny Perdue - an act of mercy we should all demand to rescue Davis from an unjust death. Next step is yours. How are you raising your voice in protest today? As you know, I've written Gov. Perdue and posted on his case many times. But I just what to give you the latest. According to the Atlanta Journal Constitution, Troy's lawyers will file a last-ditch appeal to the U.S. Supreme Court on the idea that executing without a hearing about recanted witnesses and new substantial evidence is unconstitutional. There's also a protest in Atlanta and in other countries of the world on his behalf. Villager, thanks for keeping us informed on this case. You and SJP over there at Sojourner's Place have been on it. Blessings. Oh you know I'm on it brother. I wish I could attend a rally in my city. As of right now I don't know of any. Like you my prayers are also with the family of the murdered police officer, Mark Allen MacPhail. 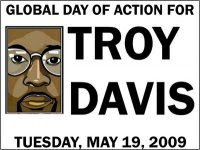 Excellent effort by all involved in this day Global Day and Global Blogging Day of Action for Troy Davis. All involvement and voices are needed to stop this injustice. Thanks Villager, you always keep the "Village" informed. I first read about this case on your blog and then I read about the global blogging day from SJP on facebook. You are correct about the cop's family, I don't think I read about them anywhere, and they need our prayers also. I posted about Troy's case on my blog this afternoon but was surprised that more people had not - ??? My prayers go out to all involved, especially Troy. Asabagna - Do u know if all of the links from the blog posts yesterday are consoliated someplace? I tried to go thru and read as many of the blog posts as possible ... but, I'm sure that I missed many of them. Regina - I think that there was wide participation. I just wonder if it has been consolidated in one place so we can appreciate it. Do u still participate in the 27th Roots of Humanity campaign? Much obliged, Villager! The list of participants is now up over at SjP's. Thank you Villager, for this clear and thoughtful response. You are right, our thoughts also need to be with the family of the police officer. Happy Mother's Day ... HOOAH! Will Barack Obama Take Us to the Moon? Yay! No More George W. Bush!